HESI bring world-class nutrients and supplements, giving passion and deep-rooted knowledge of what makes plants grow. Designed to stimulate plant growth, HESI nutrients increase yields by integrating vitamins geared towards each life cycle phase. 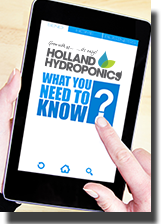 Years of scientific knowledge and experience make HESI the grower's choice. The nitrogen that is used in TNT Complex is 100% organic. Hesi starter packs all you need for grow and bloom in one box. Hesi Hydro Growth contains complex-binding substances. Hesi Hydro Bloom contains complex-binding substances. Hesi Coco is a complete plant food for growing and flowering plants. Provides all the necessary substances to flowering plants. Breaks down the cellulose in dead plant tissue. Hesi Boost is a popular bloom stimulator and flowering promoter designed for use during the productive stage of the plant life cycle. Made from a mixture of concentrated fruit enzymes, Hesi Boost contains the elements potassium (1%), phosphorous (1%), calcium, iron, magnesium, copper, molybdenum, zinc, and selenium. Root Complex from Hesi is a root stimulator.